Guys a friend is looking to test drive this 911 he found of ebay. 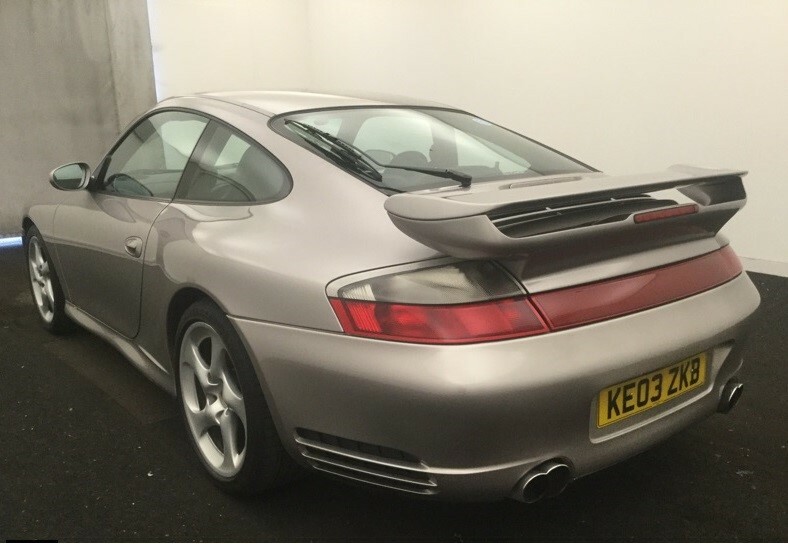 Its a 2001 , 3.4 tiptronic, non sunroof model gt3 kit 996. Any issues to look out for other than the normal stuff the 3.6 suffer. Dealer told my pal its a 4 owner car, highly maintained , had the IMS replaced by Porsche around 20k ago now currently on 90k. Was this 911 a members old car? The ad is full of BS. The rear spoiler is not GT3, the car does not have 310bhp. Asking price seems strong to me. Looks well presented in the photos (like the colour, wheels etc). Looks like a nice enough car if you want a tip, but the ad reads like the instructions for a cheap Chinese Bluetooth speaker I just bought for my son. Personally that’s enough to put me off. There’s no way the person who wrote that knows what he’s talking about (IMHO). Rear tyres are 255/35 which is the wrong size. Could they be Boxster wheels? I would normally dismiss a car with that sort of description but in the same breath it could be a decent car.The interior looks good as does the body. The MOT history does not throw up any particular suprises for an old 996 so in my opinion it is well worth a look. Thanks for the reply guys. I did mention when buying a 996 or any sort of Porsche buy from a well known Porsche specialist or enthusiast. The Lumma cayenne is with a lumma body kit. They do big arch kits for lots of German cars, mostly BMW’s though. Not particularly my thing but if you want wide arches I think they are quite well regarded. The 911 looks ok if your friend wants a tip. Markets fairly flat and particularly with it been Christmas so make sure he’s not rushed into buying the first one he sees. I would agree the advert is woeful! 12.12.2018 at BCA Blackbushe will be this C4S auctioned it looks way better and price should be around the same or less risk taken is exactly the same I think. I bet that’s there because the bores are scored. Looks a nice car, very shiny, shame its a tiptronic, I would say its manual money. With those miles its more like £13k.